It’s been a cheesy week here on the GetJoyfull blog, and we’ve loved every minute. 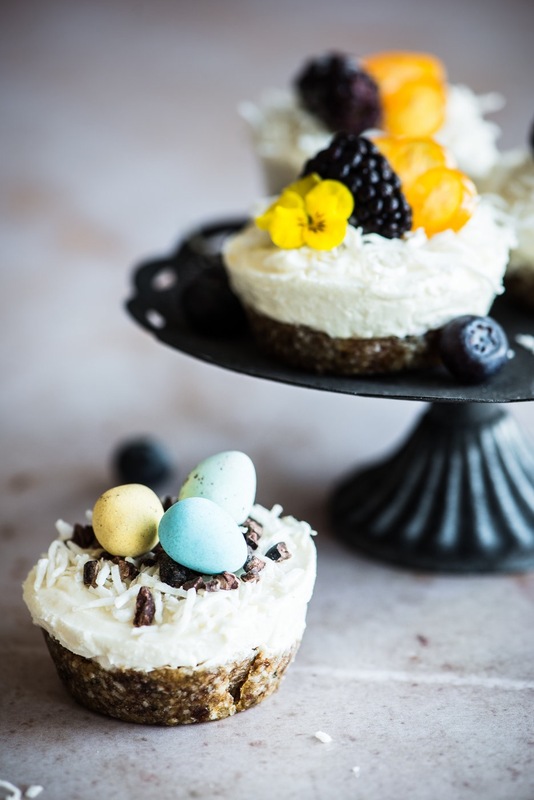 To cap off the fun we’re delighted to share one of our favourite Spring desserts, “Mini Robin’s Egg & Ricotta Cheesecakes!” They’re lovely for any occasion, but we think they’re just perfect for entertaining this Easter weekend. 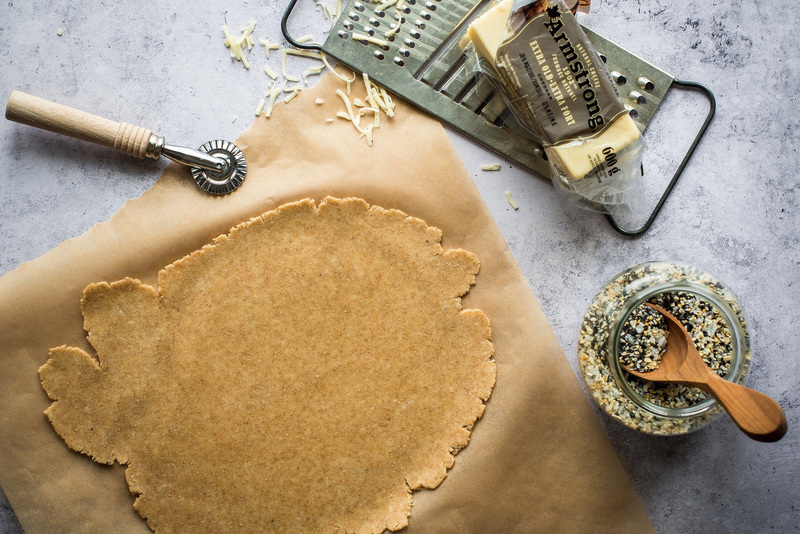 The cheesecake base is a simple mix of Medjool dates, unsweetened coconut, and shelled hemp seeds. Seriously. It is beyond delicious as a pie, or cheesecake base, and even an energy bar. Free of added sugars, and fat it’s a fresh spin on crust. 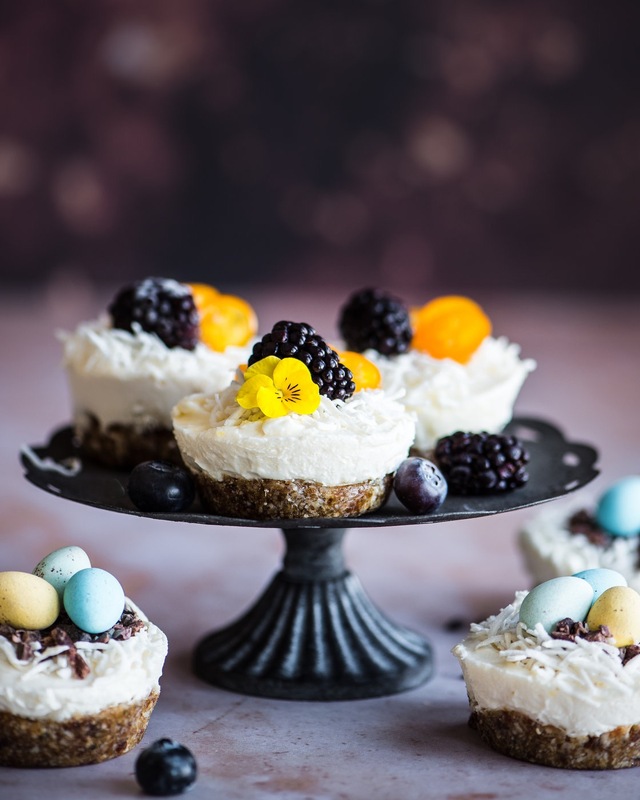 Our mini cheesecakes are lighter than traditional cheesecake, and bonus, a source of protein, fibre, and essential fats. The creamy, dreamy, lemonly filling is a simple combination of cream cheese, fresh ricotta, honey, and lemon zest. It’s no-bake, and freeze-ahead friendly. 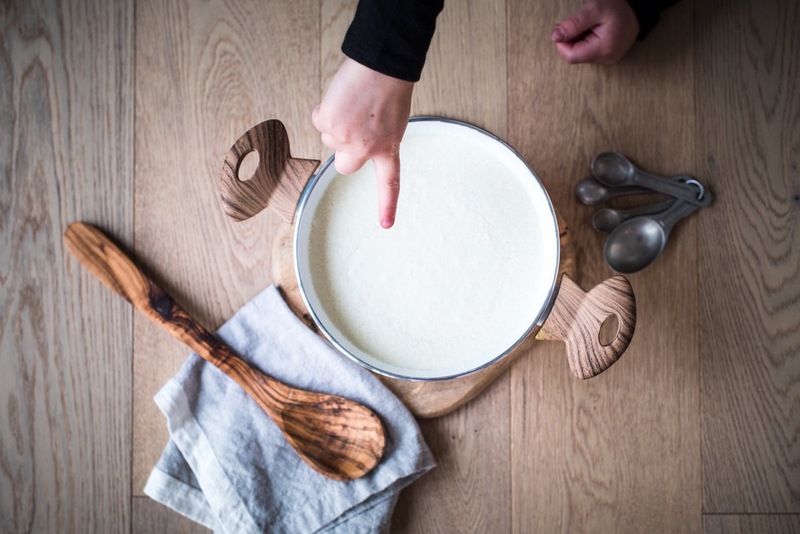 Cela and I recently learned to make fresh ricotta, and if you’re looking for a great activity to do with your budding chef — this is it! To learn more, check out our, “Fostering Food Joy with Food Science” post. Combine base ingredients: Medjool dates, hemp hearts, coconut, coconut oil, and sea salt in food processor, and pulse until a crumbly, but even mixture forms. Using a handy muffin tin add ~4 Tbsp. of date-coconut-hemp mixture into the bottom of each muffin space. Using a small cup, or spoon press mixture down to form an even cheesecake base. Clean food processor, and get ready to prep the yummy cheesecake filling. Add cream cheese, ricotta, honey, vanilla, and freshly grated lemon zest to processor. Pulse, and then blend until filling is smooth, and creamy. Spoon filling into each parchment liner, and level with back of spoon. Freeze mini cheesecakes for 4 hours allowing the dessert to firmly set. This will ensure they pop out easily before serving. Remove muffin tin from freezer. Using an offset spatula, or small paring knife remove individual cheesecakes from tin, plate, and allow desserts to sit at room temperature for 15 minutes before serving. Garnish cheesecakes with your favourite toppings. Enjoy! Garnish with seasonal toppings like fresh raspberries & cream, toasted coconut & mini chocolate eggs, or candied kumquats and fresh blueberries. 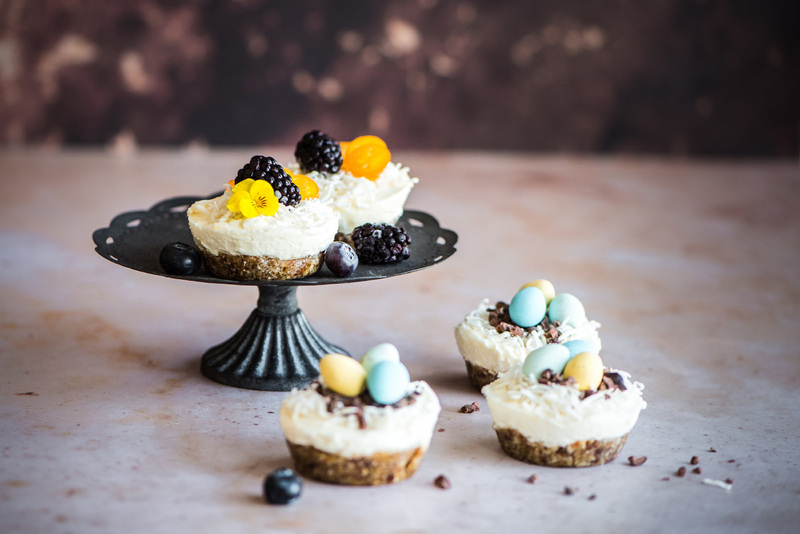 We love ending a family meal with a refreshingly simple dessert, and our “Mini Robin’s Egg & Ricotta Cheesecakes” truly take the cake! 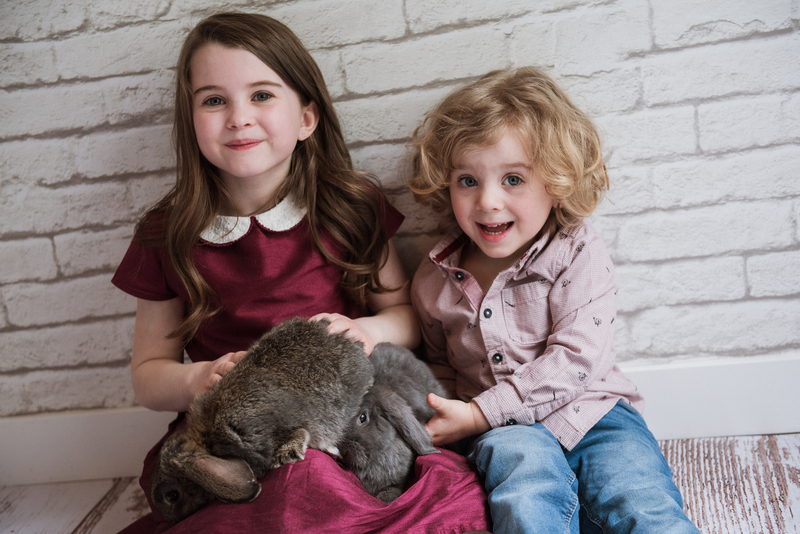 What sweet treat are you most looking forward to this Easter? From our family to yours we sure hope you have a wonderful weekend, and fill up on family time. I’m going to try these for my daughter’s baby shower next weekend! They look amazing! Wonderful! Quick tip: When you take them out of the freezer leave them on your counter for 5-10 minutes. Gently run a small knife, or offset spatula along the edge, and each little magic cheesecake muffin will pop out. Send a photo if you can; I’d love to see how you decorate these sweet treats! Enjoy, friend.